A Durable Power of Attorney (DPOA) document is what many refer to as a super document—all Superman references aside. It allows someone to act in your place: sign documents, acquiesce to health care, access bank account information, etc. The person who can act in your place is called your attorney-in-fact or your agent. Imagine how easy a DPOA could make your life: you’re at work, a client is coming to see you, but you have to sign your tax return and it’s the last day to do it! No problem if you have a DPOA. Your attorney-in-fact can sign it for you. Or you’re traveling overseas, but your bank needs authorization for a transaction. You can wake up at 4 AM to call your bank or your attorney-in-fact can take care of it for you. A DPOA can also help you avoid being placed under guardianship. And if a guardianship becomes unavoidable, you can name your guardian designate in your DPOA. However, because a DPOA carries so much weight, you should exercise extreme caution and prudence when selecting your agent. Alluding to the Superman movie again, make sure your agent or attorney-in-fact is not a villain in disguise. Because this person will have full authority to act in your place, they could empty out your bank account, bind you to some onerous contract, or even have you committed to a mental hospital. These scenarios do happen in real life, not just in the movies, so please put great thought into this designation. There are safeguards to protect you from a malicious attorney-in-fact. At any time, you can revoke or amend your DPOA to name someone else as your agent. You can limit the power of your agent to certain acts or state that they cannot transfer your property to themselves. Additionally, you can make their power “springing” so that they cannot act for you until you have been deemed incapacitated. 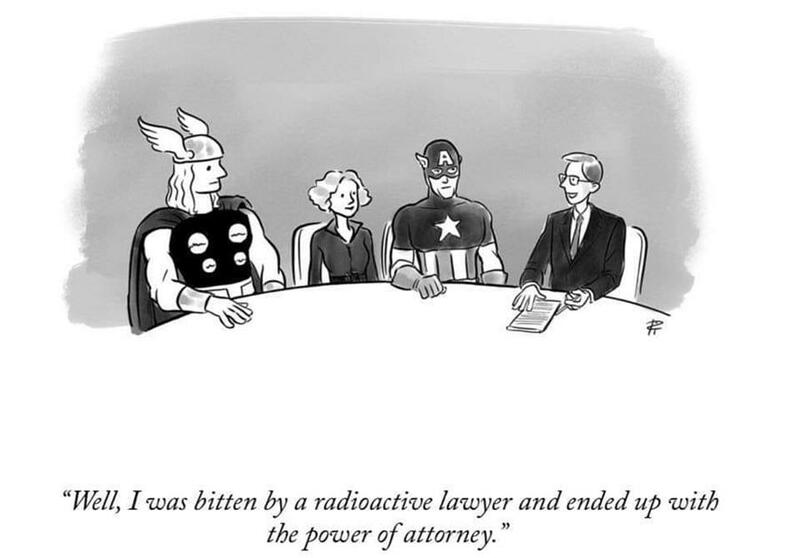 You can also separate powers among more than one attorneys-in-fact. The most common example is an attorney-in-fact for medical and healthcare needs and an attorney-in-fact for financial needs. At the end of the day, a DPOA is not something to be taken lightly, but it is something that can allow your voice to speak through a trusted representative if you cannot speak for yourself.